Boxing bag workout routine to improve your power in golf. 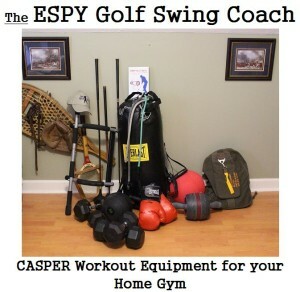 My main focus in the CASPER Workout Program is to include the Medicine Ball golf exercises. 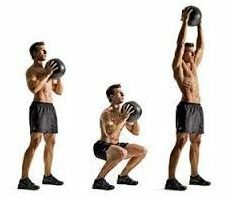 The Medicine Ball golf exercises are a major part of my golf fitness. Fitness has become a power factor in the golfer’s game and performance to gain power and distance. But fitness is also key for gaining stability and range of motion. Fitness is key for avoiding injuries, especially in the lower lumbar area. The golfer’s lower back is where most of the injuries occur, regardless of the golfer’s age. If the golfer doesn’t maintain their core strength and flexibility, injuries will plague the golfer, decreasing their stability, range of motion, and ability to enjoy the game. 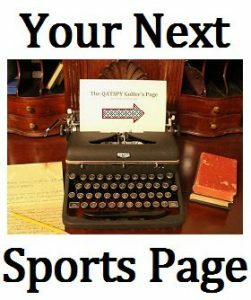 In my article Golf Trainer Home Gym, I describe how the golfer can set up their own home gym for both their convenience and fitness. In this article, I listed the equipment that I use in my CASPER (Cardiovascular, Aerobic, Strength, Plyometrics, Exercise Regimen) Workout Program. 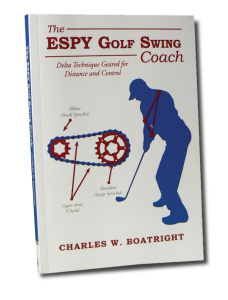 This workout program is detailed in Section 20 of my book, The ESPY Golf Swing Coach. This workout is a simple but very effective means for the golfer to improve their performance, not just on the golf course but in general. I’m 58 years old, and I still do the work around my farm and walk 18-holes, three to four times per week. As a matter of fact, I feel as good, if not better, than I did at age 35. I have been following my CASPER Workout Program since I was 35. With this essential equipment above, the golfer can start working on their core and extremities muscles to build strength, stability, and increase range of motion. Stability and flexibility are just as important as strength training. 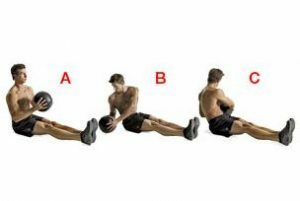 To accomplish this, I have included in this article- three Medicine Ball golf exercises and three AMP-Yoga components that the golfer can start performing. These are a part of the CASPER Workout Program. A little background on AMP-Yoga is essentially Amplify Yoga, using a Medicine Ball in three of the Yoga poses I perform between my strength routines. I would recommend a light-to-medium weighted Medicine Ball for AMP- Yoga to help the golfer with core strength, stability, and flexibility. The importance of including AMP- Yoga is, if you are like me, stretching is not one of my favorite activities to perform in my exercise regimen. Yoga helps make stretching a little more tolerable and interesting. With AMP- Yoga, you are building strength, stability, and increasing your range of motion at the same time. I call it a dual workout component. NOTE: Each AMP-Yoga Pose is performed by holding a light to a medium weight Medicine Ball. As the golfer starts to establish their exercise routine, they will want to increase the complexity of their workout program and equipment. I have listed the entire equipment that I use in the CASPER Workout Program below. If you notice at the end of the list of equipment is an 80 lb boxing bag and gloves. 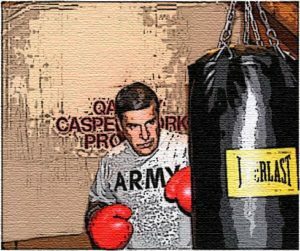 One of the best cardio workouts is a punching bag workout. I have two three-minute punching bag workouts that I follow in my normal routine. The golfer is essentially trading in their golf bag and golf glove for a different type of bag and gloves. The boxing workout strengthens two of the most important pairs of muscles in the golf swing. These muscles are the Pronator Quadratus and Brachio-Radialis muscles. These two pairs of muscles are so important that I use them to initiate the muscle memory in my golf swing. These are like the keys to start the chain reaction to engage the other 318 pairs of muscles in the human body. If the golfer can feel these two pairs of muscles, their golf swing just got 90 percent easier to establish and execute for power, distance, and control.